The $1.8-trillion Indian economy suffered its worst slowdown in over a decade with growth below 5 per cent for four straight quarters, amid threats of a ratings downgrade, even as policymakers and analysts now feel the worst may be over and the country will steadily move towards a higher rate of expansion. In the first three quarters of the year for which official data is available, India's gross domestic product (GDP) grew at below 5 percent-by 4.8 percent, 4.4 percent and 4.8 percent, respectively in the first three quarters of the calendar year. It had grown by 4.7 per cent in October-December 2012 quarter. 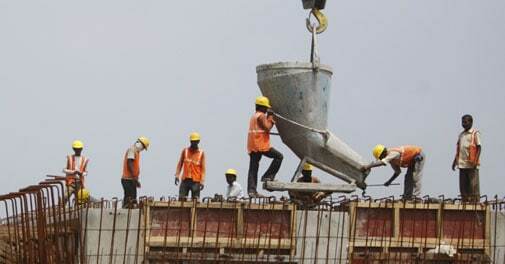 Thus, the average growth for first three quarters of 2013 stands at 4.6 per cent, the slowest since 2002. "For the Indian economy, 2013 again has been a very turbulent year. It was because of domestic as well as external factors," said Girish Vanvari, partner and co-head of Tax at KPMG in India. He said persistent inflation and low investments due to policy inaction, coupled with external factors like the speculation of quantitative easing, or roll back of stimulus, by the US Federal Reserve dampened growth and created macro-economic upheavals. "Last year people were hopeful. There were positive expectations on inflation and policy front. Unfortunately, nothing happened. Inflation continues to be high. Despite some odd policy announcements, hardly anything happened on the ground," Vanvari told IANS. The average growth for this year, thus far, is also sharply lower than the comparative figure of 5.36 per cent in the corresponding three quarters of 2012 and almost half of the average annual growth of 8.2 per cent recorded in the preceding eight years. For the current fiscal year that ends March 2014, international agencies and most of the private estimates say the growth will be below 5 per cent. The International Monetary Fund (IMF) has pegged the growth at 3.75 per cent, while the World Bank expects the Indian economy to expand by 4.7 per cent. The government has also substantially lowered its growth projection considering the dismal numbers in the recent quarters. Finance Minister Palaniappan Chidambaram recently said the GDP is expected to expand by 5 per cent in the current fiscal. Chidambaram's latest projection is substantially lower than the 6.5 per cent growth number he announced in the union budget presented in February. "We are going through a period of stress but there is a ground for optimism. We hope things will become better in the second half of the current fiscal," Chidambaram said. A senior economist at Dun and Bradstreet India, Arun Singh, said growth was likely to improve marginally in the second half of the current financial year, but unlikely to touch 5 per cent for the whole fiscal. "The maximum growth we are expecting is 4.8-4.9 per cent for the whole fiscal 2013-14. Next financial year, it should improve," said Singh adding the growth in the 2014-15 financial year would depend on the outcome of the general elections. "Sentiment plays a major role in the economy and it will depend a lot on the election results," Singh said. An economist at Angel Broking Bhupali Gursale said GDP growth is likely to remain in the range of 4.5 per cent to 5 per cent in the current fiscal. "We believe that growth will remain in the range of 4.5-5 per cent this fiscal owing to near-term challenges in the macro environment mainly from subdued domestic demand, fiscal constraints and the muted investment outlook," Gursale said. According to latest data released by Central Statistical Organisation (CSO), the Indian economy expanded by 4.8 percent in July-September quarter. Although the performance was better than 4.4 per cent for the previous quarter, it was the 4th consecutive quarterly growth of below 5 per cent. Ratings agency Standard and Poor's (S&P) said recently that India's sovereign rating could be downgraded to junk status next year if the government, in the run-up to the general election due by May 2014, does not take measures to revive reforms. The rating agency maintains its BBB(-) rating with a negative outlook on India, its lowest investment grade. Other agencies have also kept India's sovereign ratings on negative watch.